We reduce uncertainties in future climate prediction by directly coupling an energy-economy model to an Earth system model. 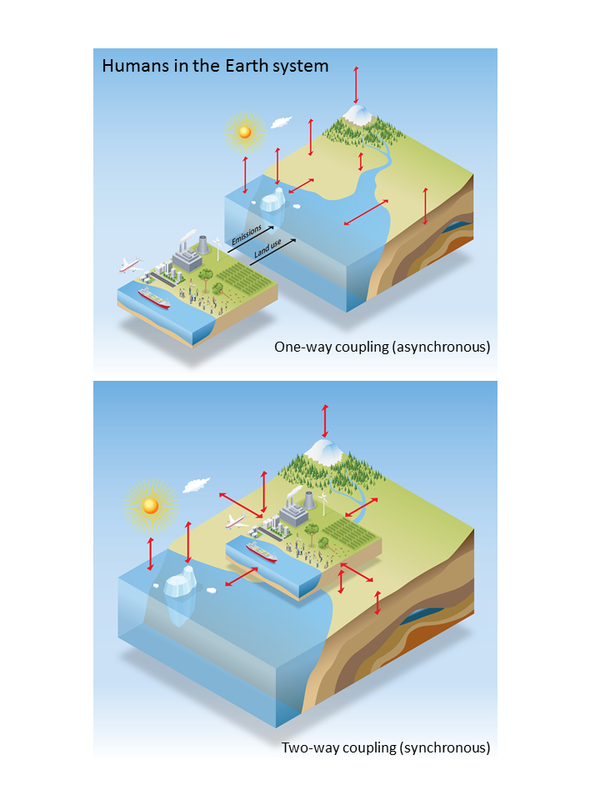 The objective of this research was to identify and quantify inconsistencies associated with asynchronous, one-way coupling of human and Earth system models, and eliminate those inconsistencies by designing and implementing a synchronous two-way coupled model of human and Earth system processes. By passing information on biospheric processes from the Earth system model to the human system model, impacts of climate change were allowed to influence the energy-economic systems. 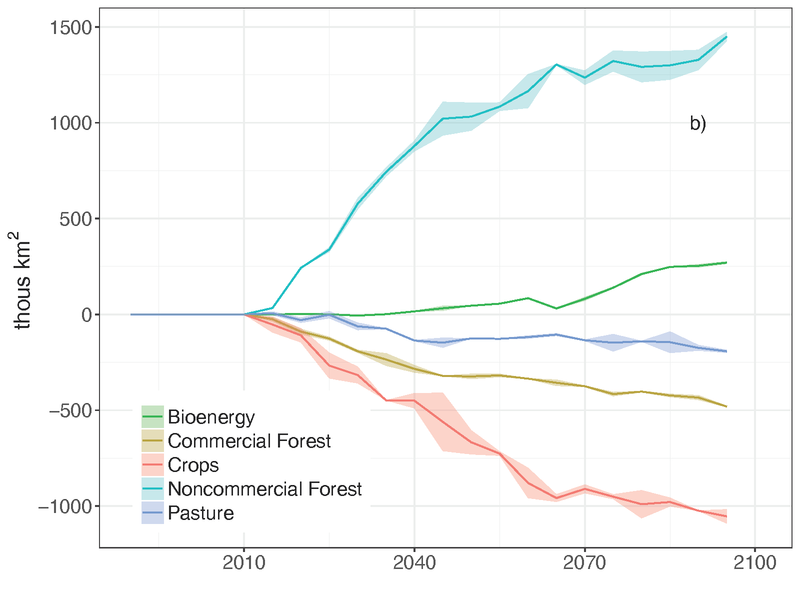 Higher CO2 concentrations led to increased vegetation productivity, higher crop yields (including biomass energy crops), lower crop prices, and reduced conversion of forest to cropland. Feedbacks in the energy system led to reduced fossil fuel emissions, and feedbacks in the climate system led to increased land carbon storage. Our research quantified an important source of uncertainty in the kind of global-scale simulation that has been used in the past to provide scientific background for energy system analysis. We demonstrated that it is possible with the use of a fully-coupled human-Earth system model to eliminate this source of uncertainty and improve constraints on prediction of future climate. Through this research, we learned that synchronous two-way coupling of an Earth system model with an energy-economics model can eliminate important sources of climate and human system prediction uncertainty. The objective of this research was to identify and quantify inconsistencies associated with asynchronous, one-way coupling of human and Earth system models, and eliminate those inconsistencies by designing and implementing a synchronous two-way coupled model of human and Earth system processes. By passing information on biospheric processes from the Earth system model to the human system model, impacts of climate change were allowed to influence the energy-economic systems. Higher CO2 concentrations led to increased vegetation productivity, higher crop yields (including biomass energy crops), lower crop prices, and reduced conversion of forest to cropland. Feedbacks in the energy system led to reduced fossil fuel emissions, and feedbacks in the climate system led to increased land carbon storage. Our work suggests that significant uncertainty reduction in the area of future climate prediction could be achieved by adopting two-way coupling between Earth systems and human systems as a standard practice for multi-model assessments. Thornton, PE, K Calvin, AD Jones, AV Di Vittorio, B Bond-Lamberty, L Chini, X Shi, J Mao, WD Collins, J Edmonds, A Thomson, J Truesdale, A Craig, ML Branstetter, and G Hurtt. 2017. "Biospheric Feedback Effects in a Synchronously Coupled Model of Human and Earth Systems." Nature Climate Change early access online, doi:10.1038/nclimate3310.